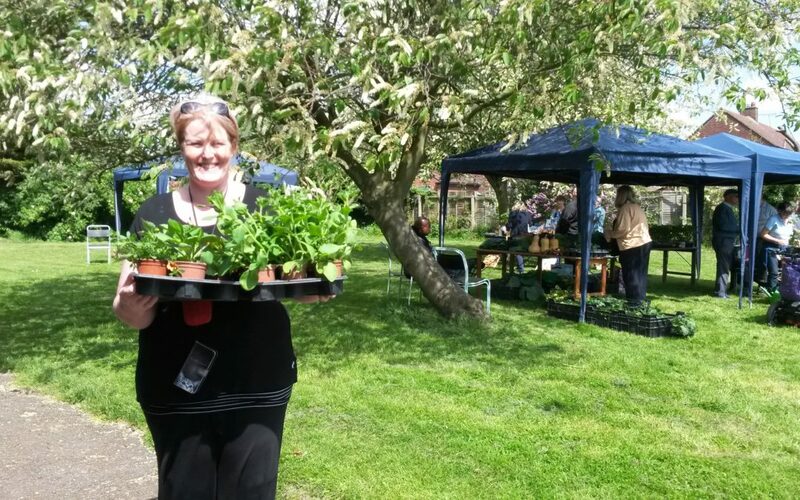 A wonderful selection of crafts, plants, seasonal wreath and produce will be on offer at our festive market, all made or grown by participants of ActivGardens. Students of Chantry Academy will be behind the serving hatch, with an offer of seasonal goodies they have made, while Ipswich, Holbrook and Stoke academies are preparing a raffle and some fun Christmas games for you to play. There will be winter greens to keep you healthy through winter, alongside other produce from our community garden. Pansies grown at Chantry Walled Garden will be available to brighten up your garden and pots, together with hanging baskets, tubs, and Christmas wreaths. ActivSheds are busy making hedgehog homes, bird boxes and bird feeders as gifts to help our wildlife, mentoring our young woodworkers who will be at the shed offering Christmas gifts with a difference. Every pound you spend with us will go into our gardening, construction, beekeeping and nature conservation programmes for the whole community, including long-term unemployed, people with learning disabilities, older people with dementia, members of minority ethnic communities, and young people. So why not come and join us and pick up some original gifts for a greener Christmas! When can I play badminton? When can I play boccia? When can I play bowls? When are better balance classes? When is the next otago class? When is the next Community market? When can I learn kurling? When can I play walking football? When is the next multi sport event? When are sitting strong classes? When can I play table tennis? What can I do in Eye? What can I do in Ipswich? What can I do in Leiston? What can I do in Rushmere St Andrew? What can I do in Stowmarket? What can I do in Woodbridge?